Amazon Dianthus is a tall, showy dianthus from PanAmerican Seed. 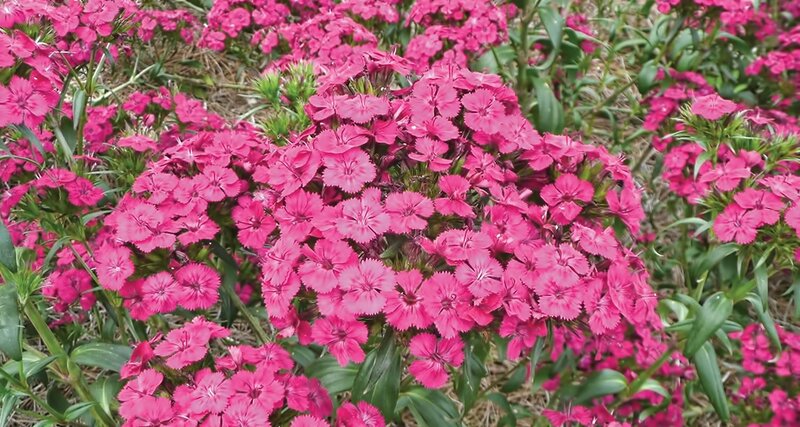 The Amazon dianthus series was created by breeding together two species -- Dianthus chinensis, Chinese dianthus or pinks and Dianthus barbatus, sweet Williams. Called an interspecific hybrid, the results are nothing short of outstanding. The foliage is an unusually rich, deep green, and the narrow leaves form a mound at the base. Even out of bloom, the foliage provides a verdant green color in the winter landscape. The three colors included in the Amazon series, Neon Purple, Neon Cherry and Rose Magic, are brilliant and eye-catching. Neon Purple and Neon Cherry practically glow, their colors are so intense and vivid. Because they produce colorfully dominate flowers, combine them with other strong colors such as deep purple, gold or burgundy. Or, you can tone them down with shades of blue, lavender, pale yellow, silver or white. The flowers of Amazon Rose Magic go through a “magical” transformation as they bloom. The flowers open a bright white, age to a soft pink and finally finish up an intense rose. All three colors appear simultaneously in each cluster of flowers. Combine Rose Magic with blue, lavender, pink, silver and white flowers for an elegant effect in the garden or in containers. Amazon Dianthus are taller than other dianthus, growing from 18-36 inches tall. Although they are relatively tall, full-grown plants are not leggy. The flowers form an almost-solid layer over the plants, and flowers stalks at the edge of a planting tend to bend over creating a full appearance. Space plants 12-16 inches apart for best show. Plant in the fall, and they will bloom through the fall and intermittently during the winter and then put on a traffic-stopping display of colorful flowers from late February or March though late May or early June. 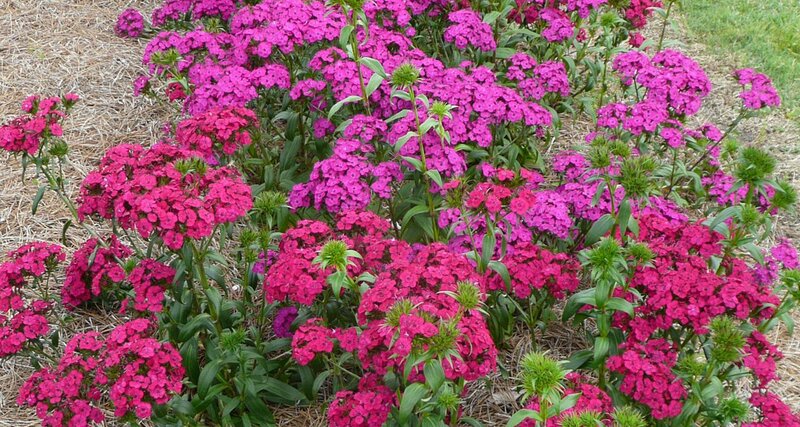 Excellent heat tolerance means they generally bloom reliably well into early summer. Select a site in full sun with good drainage. Prepare the bed by working 3 to 4 inches of organic matter (such as compost) into the upper 6 to 8 inches of soil. Fall planting is preferred as it will provide the longest flowering in your gardens as well as more spectacular blooming plants in the spring. 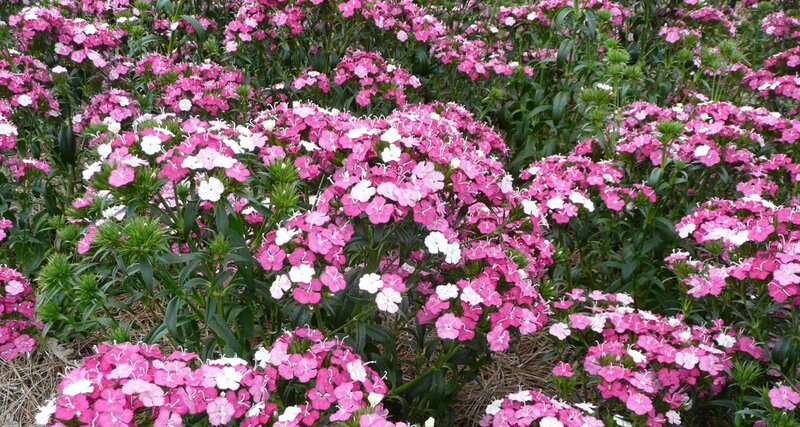 These plants are hardy into the teens and will not be bothered by average winter temperatures. Deadheading will keep your plants looking fresh and attractive and encourage them to continue to bloom.